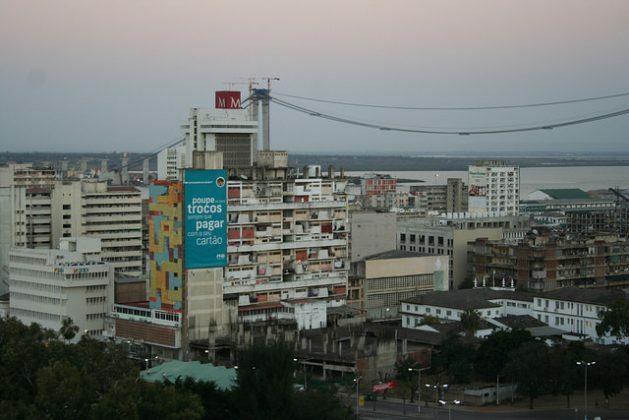 MAPUTO, Aug 17 2017 (IPS) - The rising Maputo-Catembe Bridge is a hard-to-miss addition to Mozambique’s shoreline. The 725-million-dollar bridge – billed to be the largest suspension bridge in Africa on its completion in 2018 – represents Mozambique’s new investment portfolio and a show of its policy commitment to boosting international trade. This was part of findings discussed at a meeting convened by the United Nations’ Food and Agriculture Organisation (FAO) in the Mozambican capital earlier this month. The high-level meeting attracted decision makers from the ministries of agriculture, finance, trade, industry and commerce, private sector representatives and donor groups. An assessment of the agriculture and trade policy framework and policymaking processes in Mozambique has been done to understand decision making in setting objectives and priorities for the country’s agriculture and trade sector. Formalising Informal Trade – Good for African Women? “When agriculture and trade policies speak the same language that creates some predictability to investors, any disconnect between the two can have a negative effect on foreign direct investment,” Zita told IPS. The study which focused on the country’s Comprehensive Africa Agriculture Development Programme (CAADP) and Enhanced Integrated Framework (EIF) processes also looked at the policy documents from these processes such as the CAADP National Agricultural Investment Plan (PNISA)] and the Diagnostic Trade Integration Strategy (DTIS). It recommended that Mozambique should improve the dissemination of policies, plans and strategies to stakeholders through various media. In addition, there should be an improvement in the description and publication of agricultural production and trade data. Agriculture – defined by the national constitution as the basis of the country’s economic development – contributes 25 percent to Mozambique’s GDP of nearly 14 billion dollars. Raw aluminium, electricity, prawns, cotton, cashew nuts, sugar, citrus, coconuts and timber are major exports. “African governments have identified policy incoherence as the elephant in the room and getting the policies in trade and agriculture to speak to each other is key to turning policies into action,” Katsande said noting that agriculture and trade development form the basis of key initiatives such as the Comprehensive Africa Agriculture Development Programme (CAADP), the Malabo Declaration and African Union’s Agenda 2063. Africa has no less than 14 regional trading blocs but inter-Africa trade is low at 12 percent of the continent’s trade, according to statistics from the Common Market for Eastern and Southern Africa (COMESA). However, Africa’s trade with Europe and Asia is at nearly 60 percent. Some of the bottlenecks to Africa trading with Africa include trade policy harmonization, reducing export/import duties low production capacity, differing production quality standards and poor infrastructure. Exporting Timber is the wrong road to go down. Finished products would be better, and keeping the wood for internal projects best. Had to go to a different place to reply..the weather underground site is savagely moderated..they seem to tolerate people posting about god in one breath then taking digs at the left wing and liberals, but if you call them out, they delete your posts as well..if you haven’t been to the Daily Banter, or Bob Cesca, try them out..good group of fans and commenters..!